The continental mainland is crossed by the Andes Mountains and bordered by Peru, Colombia and the Pacific Ocean. The insular territory includes the unique Galapagos Islands. In this country, you can find a diversity of climates to enjoy from the snow of the Andes to the paradisiacal beaches and the mysterious jungles of the Amazon Jungle. Coast: with beautiful coastal cities and beaches. Highlands: With the mighty Andes mountains. Jungle: The biggest bio-reserve in the world. 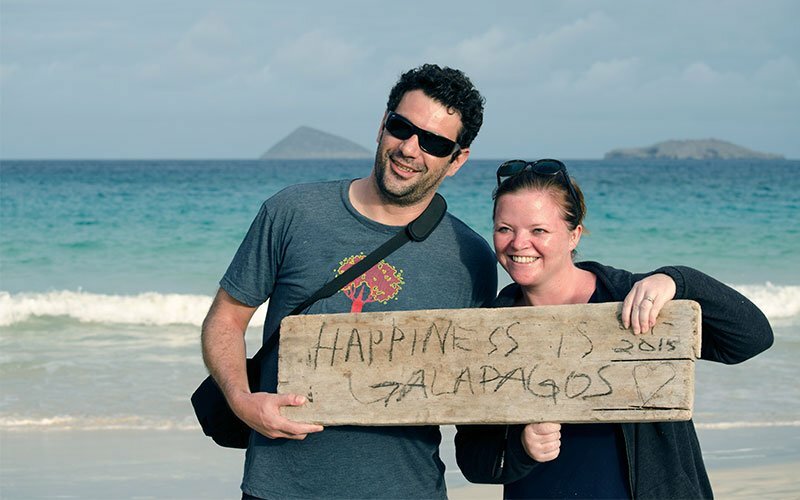 How to get to the Galapagos Islands? We highly recommend reserving your Galapagos tour before you purchase flight tickets to ensure correct dates. Check with your Galapagos cruise or Galapagos Travel Center’s trip advisor for advice on booking your flight to the Galapagos including optimal arrival times to the Islands according to cruise/program plans. Galapagos: it’s the dream trip of a lifetime for many travelers. Your Galapagos Islands tour is booked, your flight is scheduled: now what? How do you fill your time between now and then? 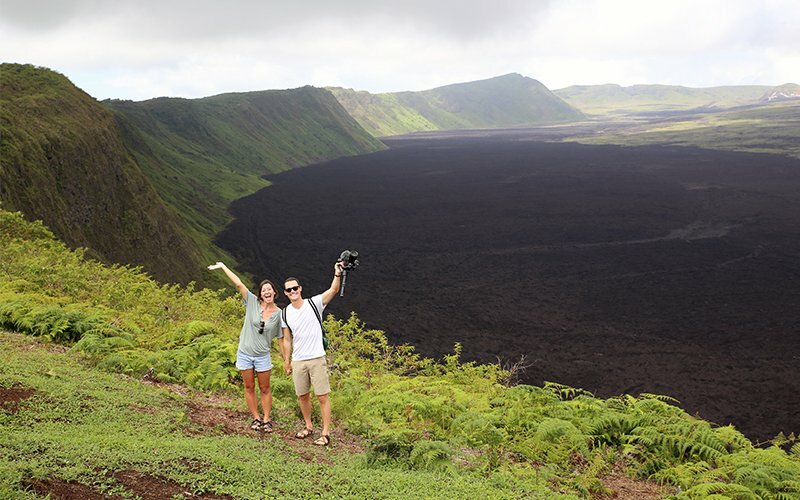 Here are the top seven tips from experienced Galapagos travelers on what to do before you trip. Acquire an outbound Heath & Travel insurance; passengers visiting the Galapagos Islands are obliged to present at the immigration office a copy or documentation that shows health insurance details which must be valid throughout their stay in the archipelago. Get a new camera with a good lens and a powerful optical zoom to get good shots of wildlife. Get lots of memory cards. 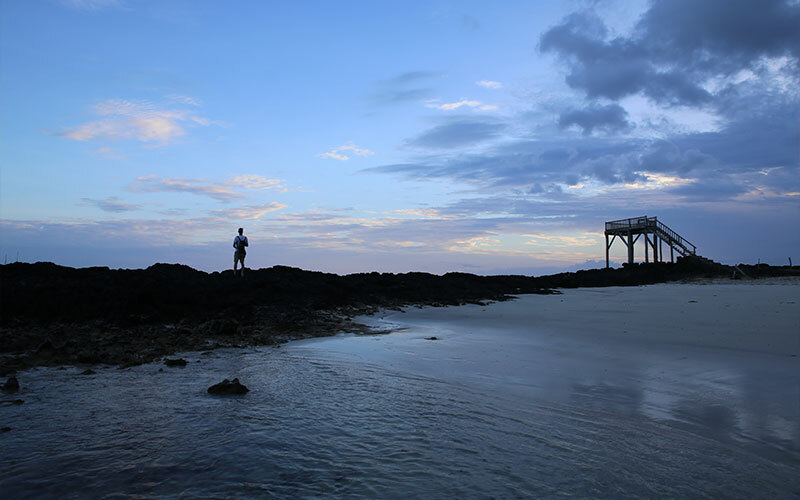 There are photo ops every step of the way in Galapagos. Bring a portable memory device. Someone is bound to have a laptop (your cruise ship even might) and transferring photos is easy. Sunscreen and a good hat are vital. Prescription medicine may be hard to replace, so don’t forget it! If you tend to get motion sickness, bring along some medicine. Bring extra cash. You’ve probably pre-paid for your tour, which includes the flights, the cruise tour, all transfers, and food. Your price does not include drinks on board, souvenirs, replacing any forgotten items in town (like sunscreen), tips for the guides and crew and other expenses you might not have thought of. Learn how to use your mask and snorkel. Snorkeling is a skill like any other. Just because you know how to swim does not mean you know how to snorkel! Do some research. Your naturalist guide will be extremely knowledgeable about all aspects of Galapagos; doing some prior reading will help you ask more punctual questions about any specific matter. If you would like to take an international direct flight to the Archipelago, I’m sorry to tell you that’s not an option, getting to a National Park of such importance requires to comply with rigorous regulations. Even if you want to sail the Galapagos on your private yacht, you will have to do a lot of paperwork months in advance of your arrival. Even though the Galapagos are a group of isolated islands, over 600 miles away from mainland Ecuador, getting there is quite simple, as you only have one option; flying there. There are two airports that connect the islands to Quito or Guayaquil with daily flights covering the two routes. 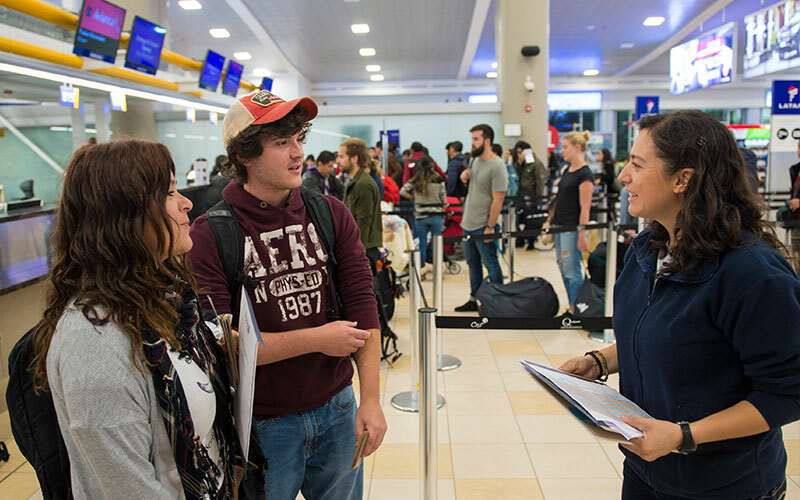 Both, the Jose Joaquin de Olmedo International Airport in Guayaquil (GYE) and the Mariscal Sucre International Airport of Quito (UIO) are new, friendly and well-equipped airports. Madrid or Amsterdam, directly or from another European city connecting to the United States. Possible stopover in Central or South America. Flights departing from any Afrikan international airport to an European major cities, or United States, or Brazil (South America). The Galapagos are composed of different islands, and each one with its own charm.It would be awesome if it was possible to visit every island in just one tour, but believe me; with all the biodiversity, and places to see it would require at least a month. 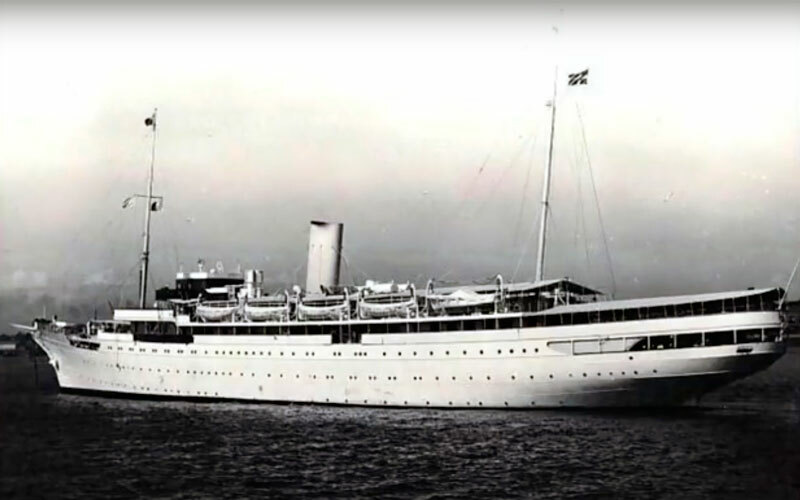 They took day trips to the shore and returned to their cruise ship, the Stella Polaris.It was not until 1965 that the airstrip constructed and used by the US Army Force during WWII was refurbished and capable to receive flights flying from the mainland. However, it was in 1968 that the first week-long cruise to the Galapagos was advertised to the United States and Europe. 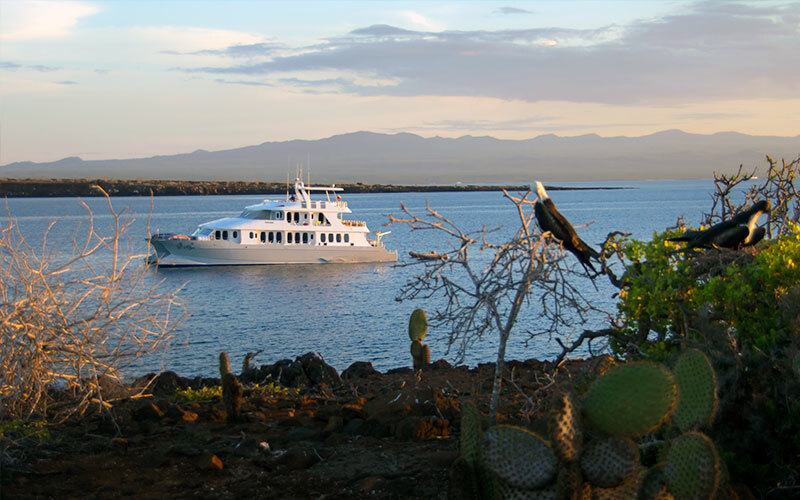 The M/V Discovery was the first tourism boat in Galapagos. This vessel shipped from Panama, and other ports; being a threat by the possibility of introducing dangerous new species. In 1968, the Galapagos National Park was founded and was responsible for executing the following regulations to preserve the islands. Training qualified guides to lead the passengers and to guarantee a satisfactory visit for the passengers and the environment itself. There are two ways to tour the Galapagos Islands: either you can take a cruise to visit them or you can stay on a land-based tour. The most amazing marine reserves in the world. When aboard a cruise, most of the sailing occurs during the night, giving you the opportunity to spend more time at every visitor sites. This doesn’t mean that you should shut your eyes and select a cruise. There are some aspects you should consider before deciding whether to take a hotel based or a cruise tour. Seasickness: This is a tricky one. When you are aboard a cruise most of the sailing takes while you are asleep, and during the day sailing is rather smooth, as sea currents are not really strong in Galapagos. Therefore, rough boat movements is not something to really worry about. Depending on its size, larger cruises tend to be the most stable, followed by catamarans, and other vessels. On the other hand, daily tours require a daily speedboat ride of around 2 hours per way, and aboard a speedboat, the ride can be much bumpier that when on a cruise. So, which is best when you are susceptible to seasickness? If you are prone to seasickness or think you may be, it is best to visit your Doctor to have the best prescription for you. Visitor sites: A big plus for cruises, as they visit not only major sites but also remote islets in the archipelago. Without the limitation of returning to a specific island, passengers get to spend more time at every visitor sites. Get to know the locals Hotel-based options also offer a wide range of activities to suit all interests, allowing visitors the flexibility to build their own schedule.An experienced trip advisor can help you with the best options when booking a hotel based tour and want to visit specific islands. Galapagos, a destination like nowhere else, requires some regulations like nowhere else. This Cheat Sheet will help you know what is necessary to accomplish to be allowed into the islands. San Cristobal is the oldest of the Galapagos Islands formed over four million years ago. It was formed by the eruption of four different volcanoes. 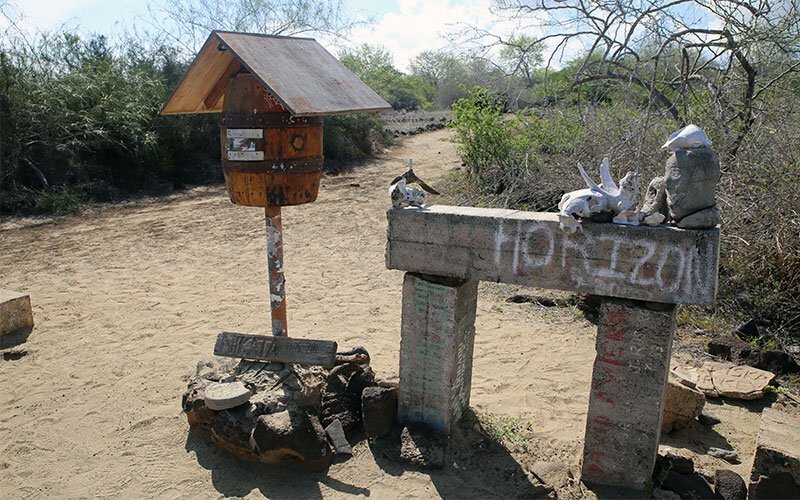 It is also believed that the first humans in Galapagos settled here because of the small lake of “El Junco”; a freshwater source in the island. It is also the site where Charles Darwin and the Beagle landed on his historic journey on the 16 of September 1835. 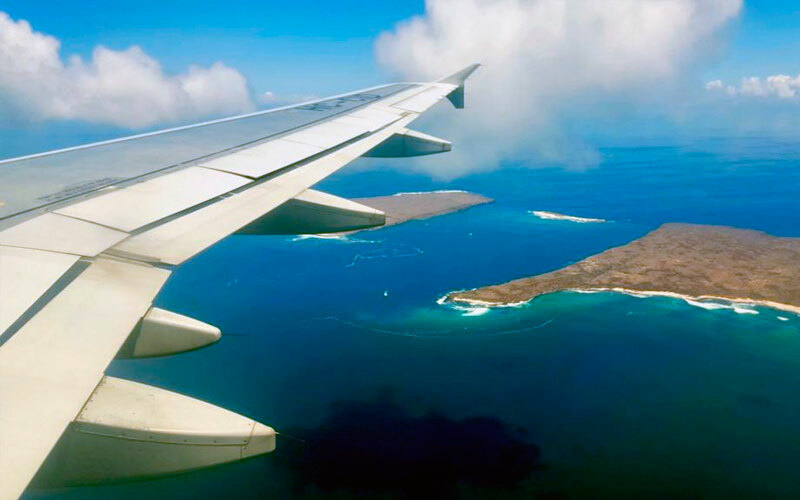 The islands of San Cristobal holds “Puerto Baquerizo Moreno” the Capital of Galapagos, and is where one of the two airports operates. Also, a good place to find a good hotel and embark in one of the many daily tours that start from here. As Isabela is still over the hot spot, each volcano except for Ecuador is still active. Vulcan Wolf holds the distinction of being directly above the equator. Isabela’s unique geography extends to its animals. The island has the largest population of wild tortoises and each volcano has its own species. With the most recent eruption of Cerro Azul in 2008, there are fresh lava fields, cones and noticeable changes to the landscape. The island’s history includes pirates, prison camps and tales of love and loss. Today it reveals different discoveries; it’s considered one of the best places to see humpback and orca whales, dolphins and has many dive sites. It’s less visited than the rest of the Islands. Tagus Cove was a favorite of early pirates and their names and those of their boats are scratched into the walls of the cliff dating back to 1836. Elizabeth Bay is a popular spot for snorkeling; sea turtles and penguins take to the waters to feed daily. Named for King Fernando of Spain, the youngest of the islands is still over the hotspot. It’s volcano, La Cumbre, last erupted in 2009, making it one of the best places to see nature in action. The Galapagos Islands are unique and one of the most stunning places on the planet to see animals and mammals in their own environment without distraction. For more information about visiting the islands while learning about their creatures and creation, contact one of our Galapagos Experts and start making your plans today. Probably one of the most asked questions is about the weather in Galapagos. This archipelago due to its location on the equatorial line enjoys a warm and stable temperature throughout the year. In Galapagos, there are two seasons that mark the behavior and of the wildlife, and the greenish of nature. The discovery of the Galapagos Islands is credited to Tomás de Berlanga, the Bishop of Panama, who discovered the Islands by accident when his ship was sailing from Panama to Peru where the Inca Empire had been recently conquered for Spain by Francisco Pizzaro when it was taken off course by the wind and ocean currents. On the 10th of March 1535, Berlanga’s ship arrived in the archipelago. He wrote an account to the King of Spain describing the strange islands inhabited by birds, reptiles, and sea lions. He was not very impressed by the islands because of the scarcity of freshwater and overall dry environment: searching for a source of freshwater two men and several horses from his crew died before a bit of fresh water was found. They soon carried on to Peru leaving the then unnamed islands behind. The islands were nominally claimed by Spain, but there were no major efforts for colonizing them. The Spanish Empire became extremely wealthy from the treasure of the conquered Aztec and Inca empires, and other Europeans powers such as England grew jealous and supported pirates who looted Spanish galleons laden with the riches of the New World. By the end of the 16th Century, the Galapagos Islands became a base for these English pirates. The pirates also stocked up on tortoise meat and other supplies in the Galapagos. By the 1790’s, the presence of the pirates in the islands was replaced by whalers stopping over in the archipelago. 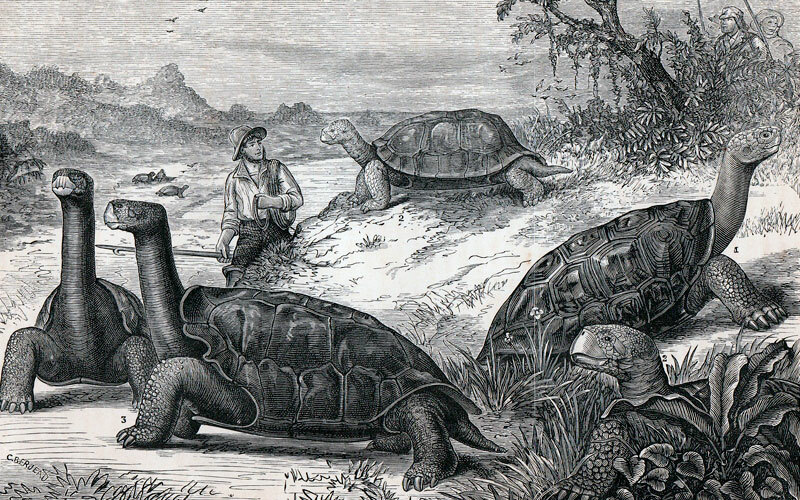 Like the pirates before them, the whalers often collected tortoises. These giants were prized food sources because they could be kept alive in ships for years without food or water. Unfortunately, the whalers arrived in much greater numbers than the pirates before them, and the local tortoise populations were soon decimated. The Galapagos Islands are an exotic playground for both the visitors and the untold number of species that call this place home. Located 600 miles off the coast of Ecuador, the Islands remote location and the preventative measures that the government has put in place to protect them allow for a rare glimpse into the natural wonders and stunning creatures that can be seen. The Galapagos Islands were formed when the Nazca Plate on the ocean floor passes over a “hot spot,” a point where the earth’s crust is hotter than elsewhere, and volcanoes erupted. The volcanoes and the lava rose out of the ocean and the islands were born. The plate has been moving from west to east over the hot spot for many thousands of years. In terms of geography, the plate has been moving from west to east and the islands to the west, Isabela and Fernandina, are the youngest and still have active volcanoes as they are still over the hotspot. Those to the east, including San Cristóbal, are the oldest and no longer over the hotspot or volcanically active. Why is Ecuador a good option for a vacation? This rich history of culture and traditions has overcome the Spanish conquest and even modernity. 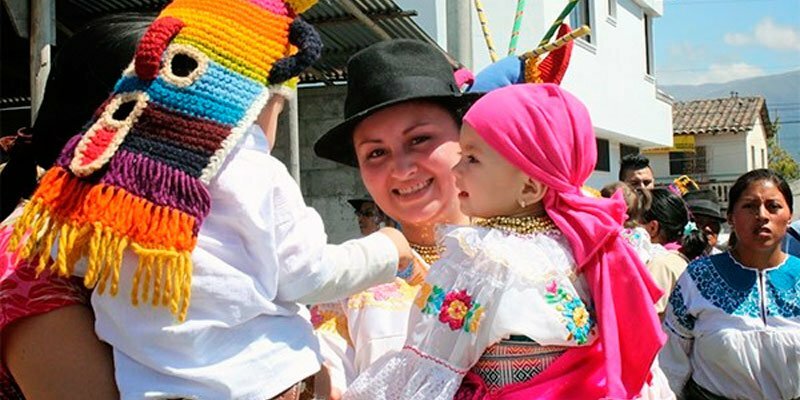 One of the best examples is the high number of tourist visits to the Ecuadorian indigenous markets:, the Otavalo market that receives thousands of visitors every week, who are able to enjoy the customs of a tribe that has learned to join tradition with modernity. Even though Ecuador is one of the smallest countries in Latin America, it is one of the 17 most megadiverse countries in the world: has the most biodiversity per square mile of any other nation. Although the Galapagos Islands is the top destination for foreign travelers coming to Ecuador, the opportunity to visit the Amazon jungle should not be ignored. 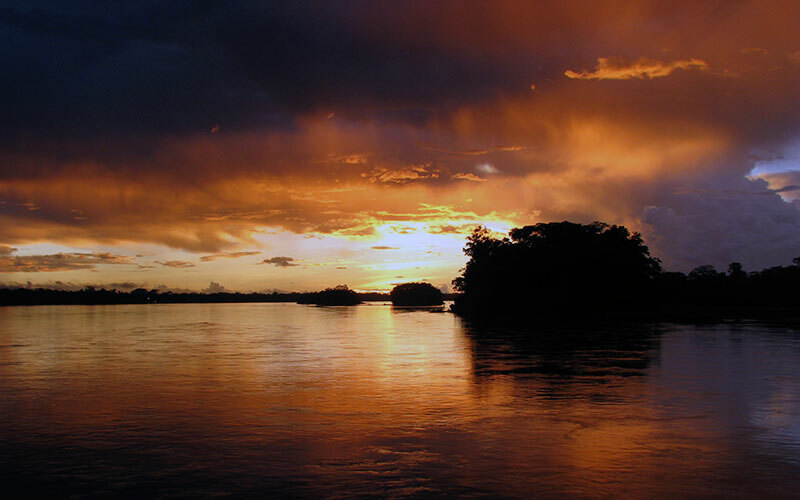 Ecuador’s Amazon region is one of the most biodiverse locations on Earth. In fact, one acre of land in the Ecuadorian Amazon has more species than the entirety of North America. The Amazon rainforest is truly the treasure chest of life on Earth. The Ecuadorian Amazon offers a wide variety of comfortable accommodations and a seemingly endless list of daily activities. Most of these jungle lodges are all-inclusive providing housing, food, and naturalist guides to accompany guests on their adventurous excursions in the forest. Tourism in the Amazon region is well developed in Ecuador, but the important conservation of this remote, rich, and magical region is never pushed to the side. The jungle lodges are all designed with eco-friendly intentions and work hard to preserve the environment. Besides offering visitors a chance to experience the wild Amazon, they also educate them about the crucial conservation of the region. Colloquially known as El Oriente, the Ecuadorian Amazon region occupies the eastern portion of the country from the eastern slopes of the Andes to the borders with Peru and Colombia. The climate is warm and tropical and receives plenty of precipitation. Cuyabeno and Yasuní National Parks are world class biological reserves in Ecuador’s Amazonia preserving millions of species. This region is also home to several vibrant indigenous cultures, and visitors often have the chance to interact with them in special ways. Despite being a remote region, it can be easily accessed from Quito by airplanes offering nonstop service to towns such as Coca and Lago Agrio. Visiting the Amazon is a great trip extension for your Galapagos holiday. GalapagosIslands.com can help you find the perfect jungle lodge for you and your family. The high rising Andes stretch along the western edge of South America all the way down to the Antarctic region and offer both stunning beauty and lots of opportunities for mountain sports. Even though Ecuador is located at equatorial latitudes, many of the high peaks of the Andes are covered with snow all year round. Some of the most iconic symbols of Ecuador are the snow-capped volcanos Cotopaxi and Chimborazo. Adventure seekers from all over the world come to Ecuador to climb these impressive giants and visit the cloud forests, mountain lakes, hot springs, and indigenous markets. Go whitewater rafting in a raging river all in the same day! If you are interested in learning more about indigenous culture, you will also find many native people in the Ecuadorian Andes who continue their age-old traditions in modern times. And the páramo fox, a species similar to a coyote. The Páramo is a high tundra-like plain in the Andean region. Hiking in these areas will allow visitors to see some of the most spectacular views in all of South America. One of the most popular stops in the Ecuadorian Andes is the Avenue of Volcanos. The famous Cotopaxi, which is the highest active volcano in the world, is among the impressive peaks in the Avenue of Volcanos. 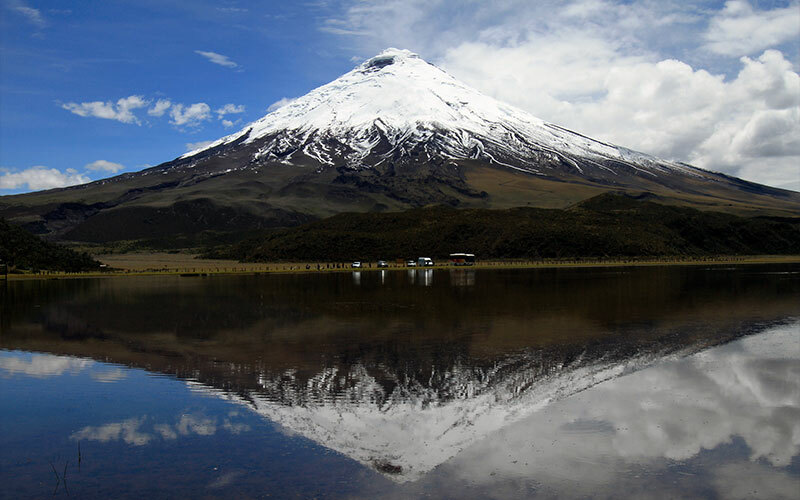 Cotopaxi is the focal point of an extensive and fascinating national park protecting a huge range of natural habitats. The most adventurous travelers will want to climb this magnificent peak. 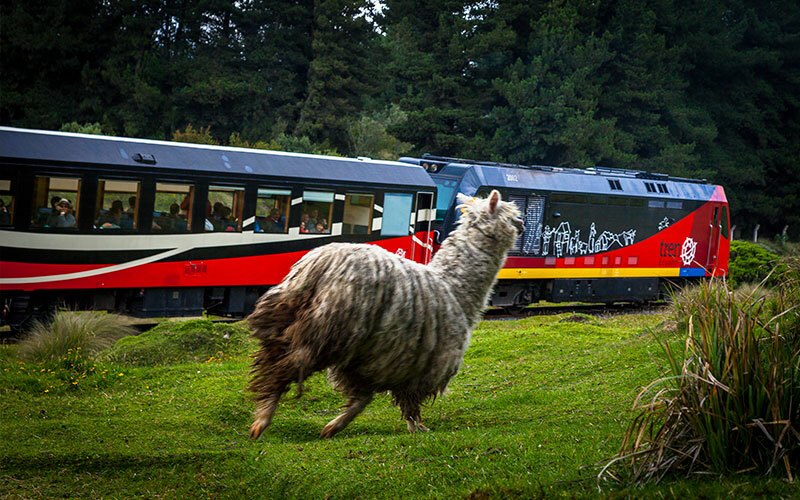 Some of the most noteworthy Ecuadorian cities are located in the highlands of Ecuador. Quito, Cuenca, and Riobamba are well-known for their colonial architecture and rich history influenced by both the Incan and Spanish Empires. There are places in Ecuador where pre-Colombian ruins can still be seen. Along the coastline of mainland Ecuador, you can find many pristine beaches. Beautiful landscapes, warm tropical weather, friendly people, and sunny skies make the Ecuadorian coast an ideal holiday destination. Nearest beaches to the capital Quito. During holidays and weekends, many Quiteños visit these coastal areas. Atacames is one of the most famous beaches in this area near the city of Esmeraldas. The sandy beach and turquoise waters are accompanied by high rise accommodations and plenty of nightclubs. It is a great place to enjoy a wide variety of tropical fruits. Visitors and locals alike enjoy excellent natural juices and fruit shakes. Beachside bars also serve a great selection of cocktails and beers. Beach vendors sell unique jewelry and handicrafts. Local women can also braid the hair of tourists and decorate it with beads. Another remarkable location in Esmeraldas is Muisne. Normally called Muisne Island, it is actually a little peninsula located south of Atacames and the city of Esmeraldas. Muisne is a much more tranquil location offering a laid-back environment. Local fishermen live in the village, and visitors are delighted by the calm beaches, palm trees, and colorful sunsets. A popular route along the Ecuadorian coast which runs south from Esmeraldas through the Province of Manabí to the Province of Santa Elena is known as La Ruta del Sol or The Route of the Sun. Visiting this part of the country will ensure that you discover a great variety of different villages and beaches. During certain times of the year, it is a great whale watching destination. Canóa in Manabí, an unforgettable stop. This small fishing place is becoming an increasingly popular tourist destination thanks to its remarkable natural beauty, lovely beach, and blue sparkling waters. There are a few hostels providing accommodations as well as a growing English-speaking expatriate community. It’s a large city on the coast of Manabí with around 200,000 inhabitants. This pristine beach is located in the Machalilla National Park and is famous for its unspoiled beauty. White sand, turquoise waters, and the lack of crowds make this wonderful beach one of the most relaxing destinations on the Ecuadorian coast. Los Frailes is also well-known as a place to watch the annual humpback whale migration along the coast. The whales arrive in the end of July and stay in the area until October to have their courtship rituals in the coastal waters. Others also give birth to their calves. Whale watching is an increasingly popular activity and surely creates everlasting memories. This location is a popular spot for many international surfers and backpackers. Water sports such as surfing are top activities in Montañita, and this seaside village also has a thriving party scene with plenty of bars and nightclubs. Montañita is characterized by its Hippy/Bohemian culture and is a much-laid back location. The Ecuadorian coast has everything you would want for a perfect seaside holiday. 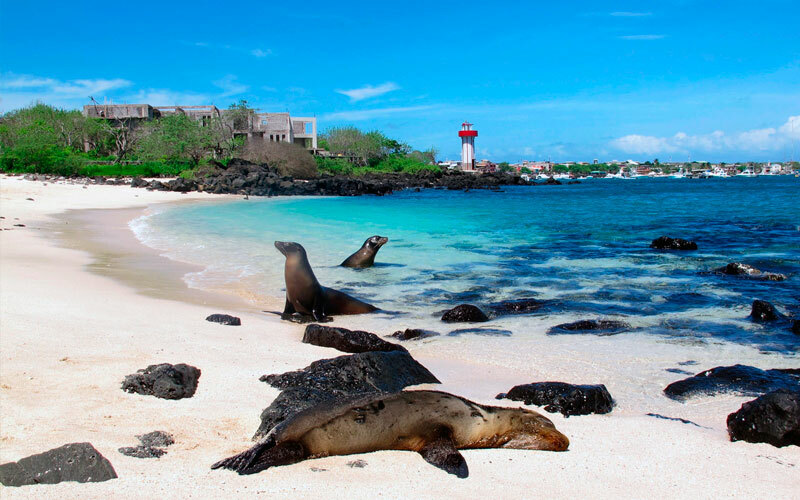 A trip to the coast makes an excellent trip extension after your visit the Galapagos Island if you and your family want more sandy beaches and sunshine, whether you are looking to get rest, get into aquatic sports or party, the coast of Ecuador has something for you. When to go to Ecuador? Because of its geographical location, Ecuador offers only two seasons: summer and Winter. However, and unlike many other countries, the average temperatures in Ecuador will remain almost the same. However, during winter you can expect sunny mornings and heavy rains in the afternoon or vice-versa. The Amazon jungle is like the perfect jungle should be: humid, warm and rainy all year long. However, any time is a good time to visit the jungle, being a rainy season a much better time: more rain means more fruit production from the trees and much more wildlife activity. In the Ecuadorian part of the jungle, you can expect heavy rains from August thru early December. The amazing and enchanted Galapagos Islands are quite peculiar in any weather. There are two seasons in Galapagos, the Warm Season, and the Dry Season. 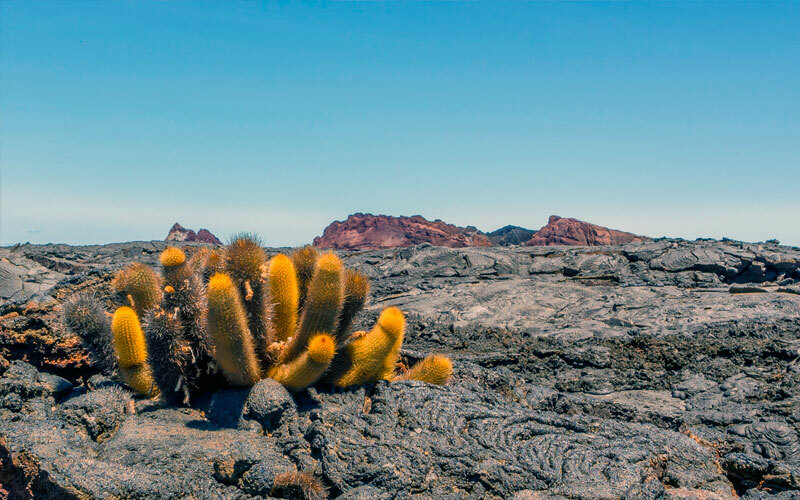 There is no wrong time to travel to the Galapagos Islands, but we’ll talk about the Galapagos further down in this article. Ecuador offers every visitor the opportunity to enjoy and learn from millennial civilizations while being dazzled by the magnificence created by nature in any of the Ecuadorian four regions. Contact us now and ask our Ecuador and Galapagos experts about the best ways, promotions, and dates for traveling to the Enchanted Islands.